When it comes to naming “the best” of anything there are always going to be those who agree and those who disagree. 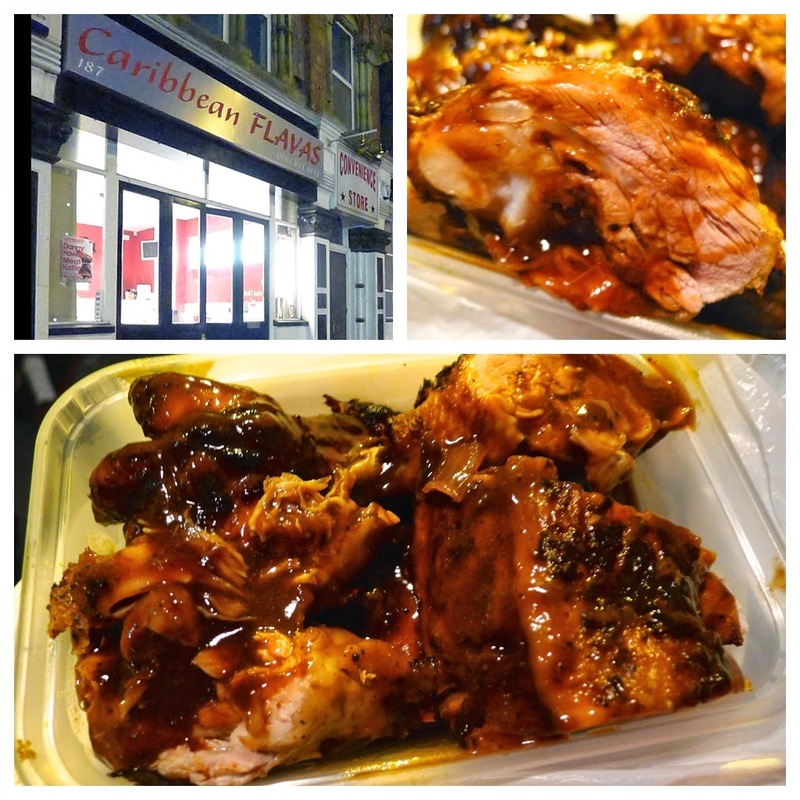 If naming a favourite Chippy, Chinese or Indian take away for example, people will often cite “the one around the corner” as “the best” – familiarity and convenience often playing a big part. As a food blogger, people often ask me to name the “best restaurant in Manchester” or for my “Top 5” – as ever, I can only give an opinion but I can tell you “my five favourite places to eat” are The French, Yuzu, Manchester House, Mughli and SoLita. I like these places for different reasons – of course, they do serve some of the best and most exciting food in town but it also comes down to atmosphere and the relationships I have built with ‘the people’ over many visits to each. So although Mughli is my favourite Indian restaurant to eat in, do I think Mughli serve “the best curry” in Manchester? 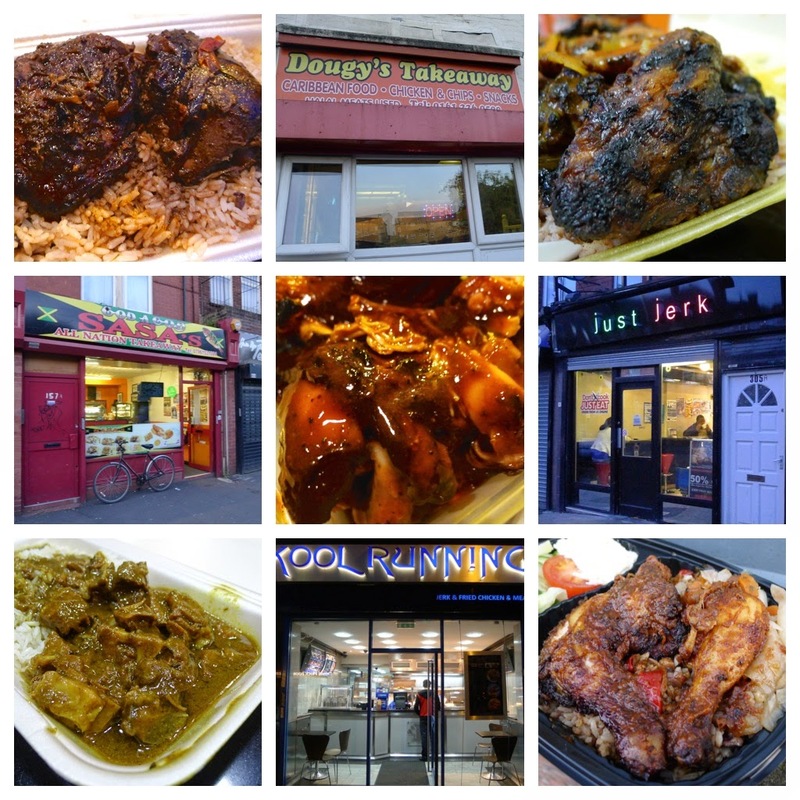 A few folk who have eaten in some of the ‘curry cafes’ in and around Cheetham Hill may disagree and, until I’ve tried them all, I’m not going to offer an opinion. 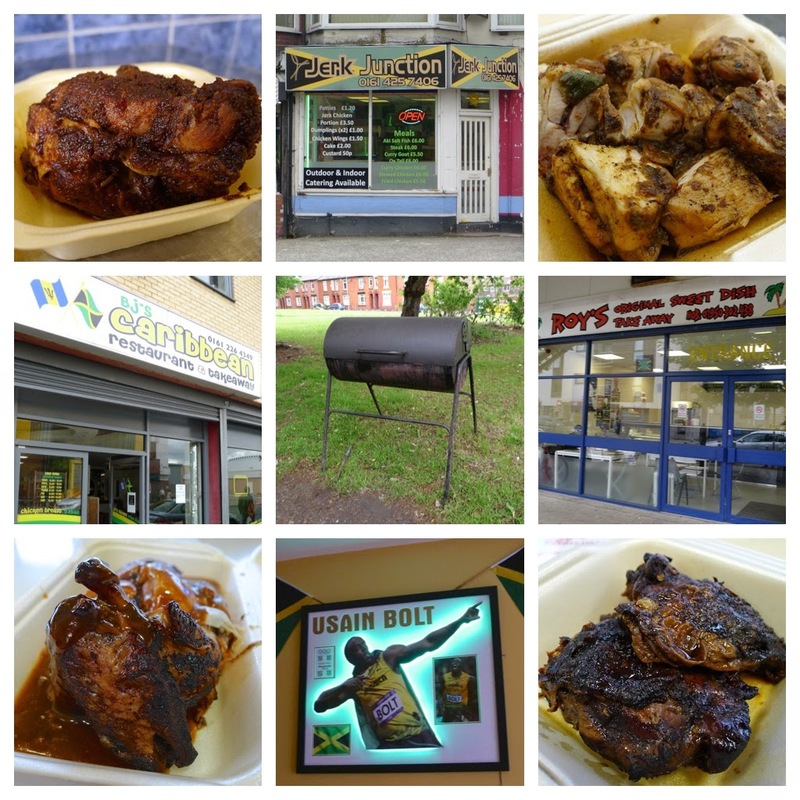 The question of “Who in Manchester does the best jerk chicken?” is an entirely different prospect – there can’t be *that* many of them… surely I could try them all… that definitely sounds ‘doable’? 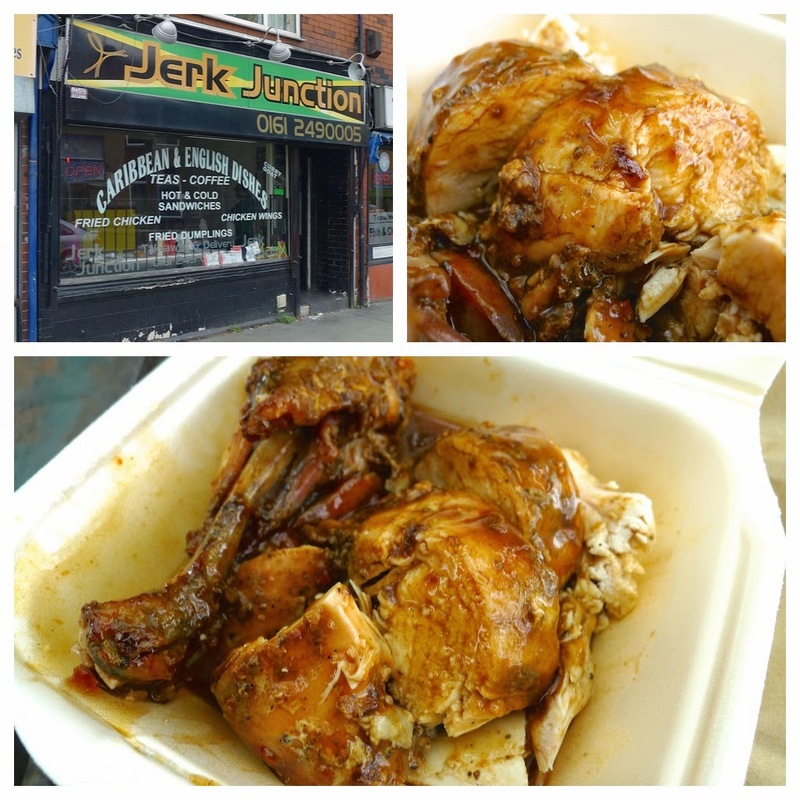 I’m not going to go into a long definition about the etymology of “jerk’ – I’ll assume, if you are reading this, you already know and love jerk and just want to know where in Manchester serves the good stuff. 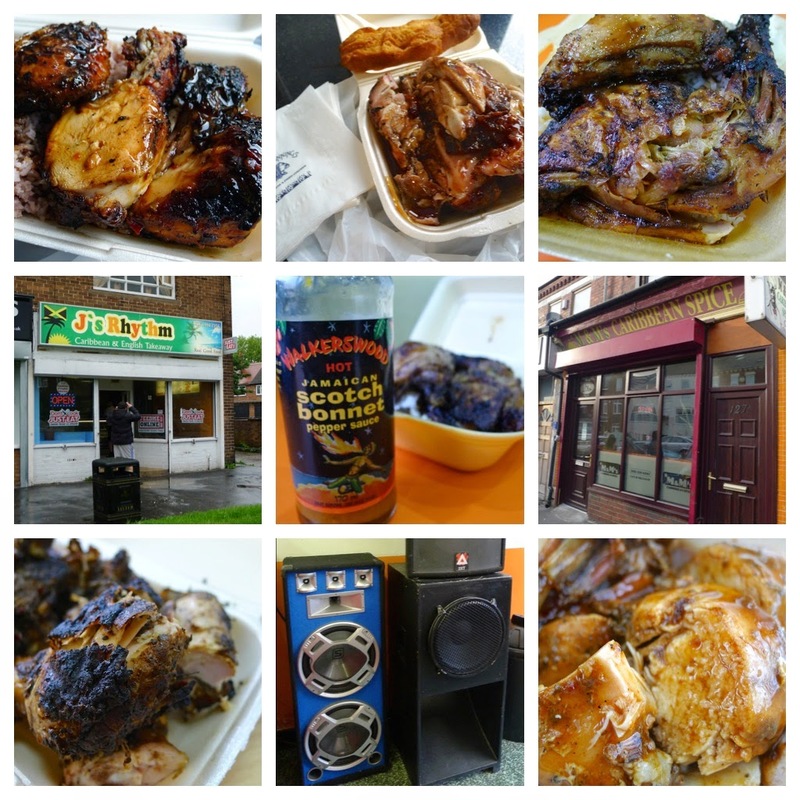 Aided by Franco from SoLita, we set about going on a series a series of jerk fuelled road trips using the Twitter hash tag #JerkChickenRun – with our own bit of local knowledge and a few suggestions from our jerk loving followers we drew up our hit list. If a place with lots of recommendations let us down, we made return visits to check for consistency – we did find variables in quality depending on the time of day. 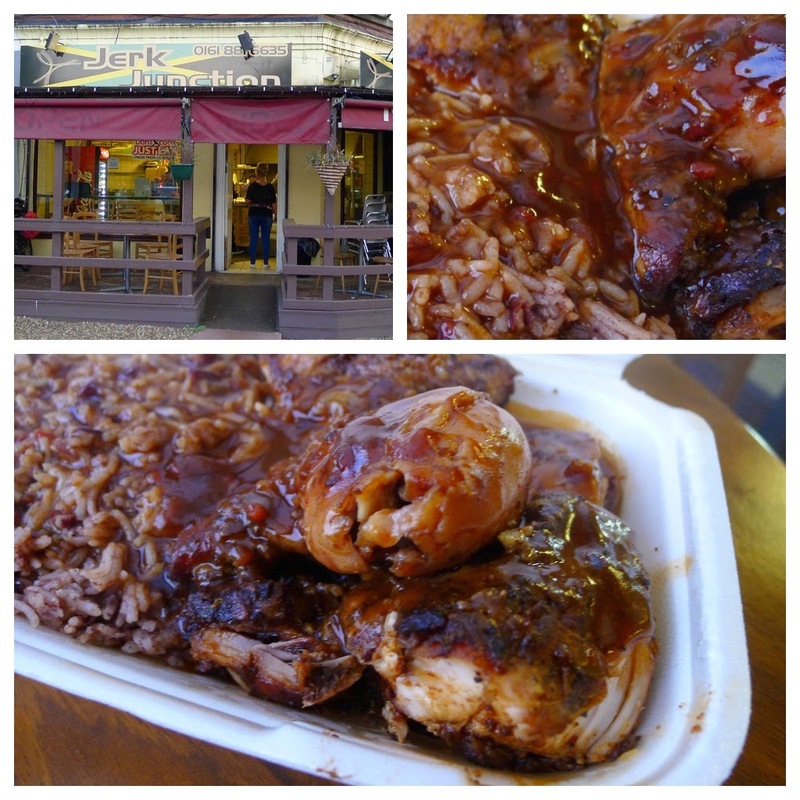 For example, after one lunchtime visit to Just Jerk we thought we may have found ‘the best’ but on a subsequent visit during the afternoon the chicken was much drier but an evening visit again found it back on form. Revisits showed it clearly depends on when the chicken had been cooked and how long it had been sat in the display cabinet– imagine barbequing some chicken at home and then keeping it warm for a couple of hours – it’s never going to be as good as a piece fresh from the flames. 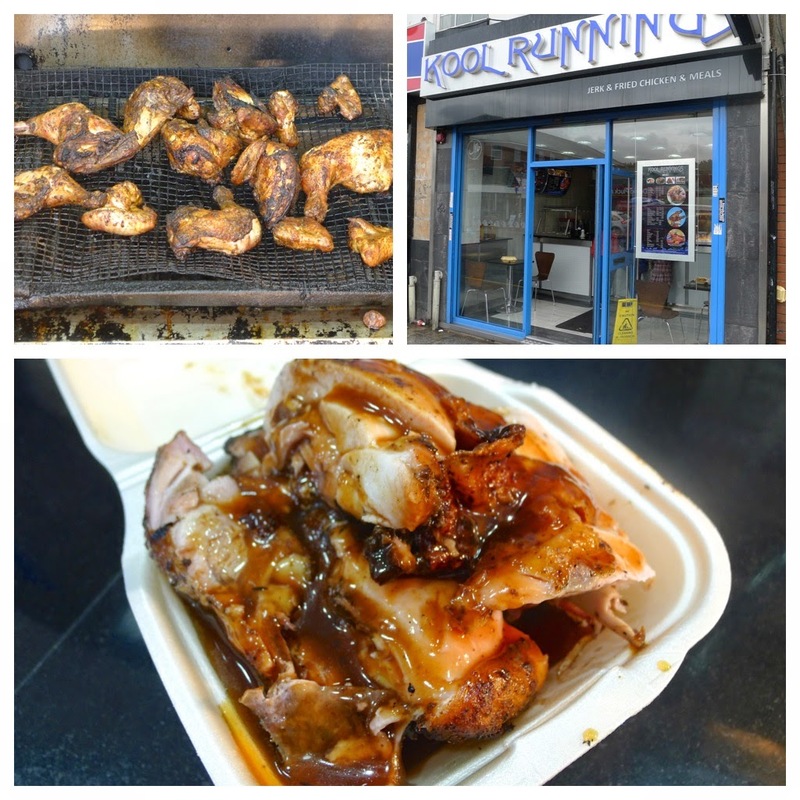 We devised a double scoring system: the ‘Jerk Sore’, rating the quality of the jerk chicken based solely on flavour, cooking and meat quality -and another, slightly tongue in cheek, entitled ‘Jammin’ rating, which takes into account the general vibe and ting. 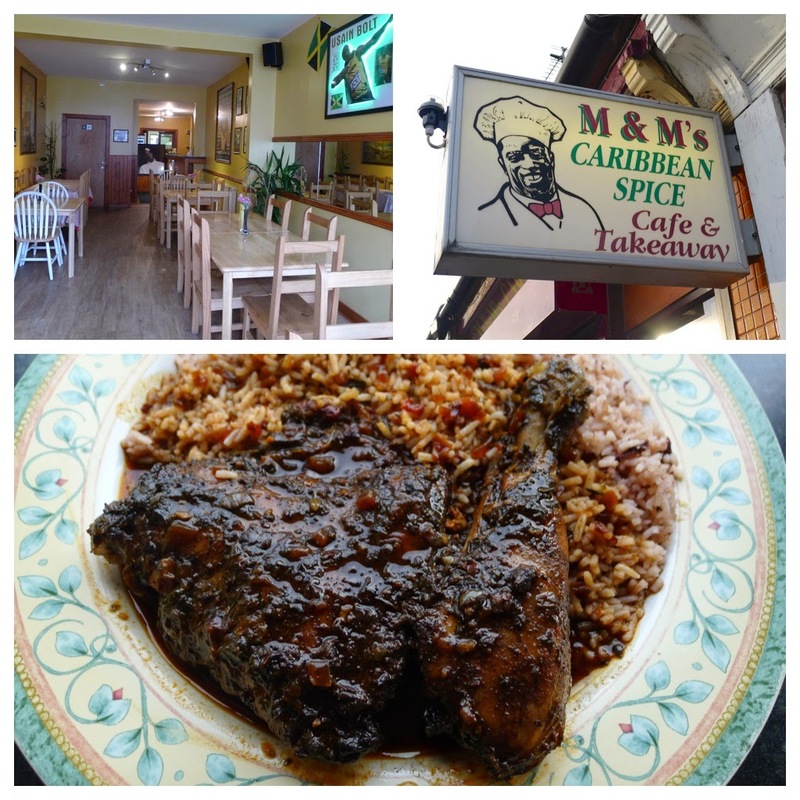 A ‘Ambience’ we liked to hear a nice bit or roots, reggae, dub or dancehall music – jerk chicken tastes better when eaten whilst listening to reggae. 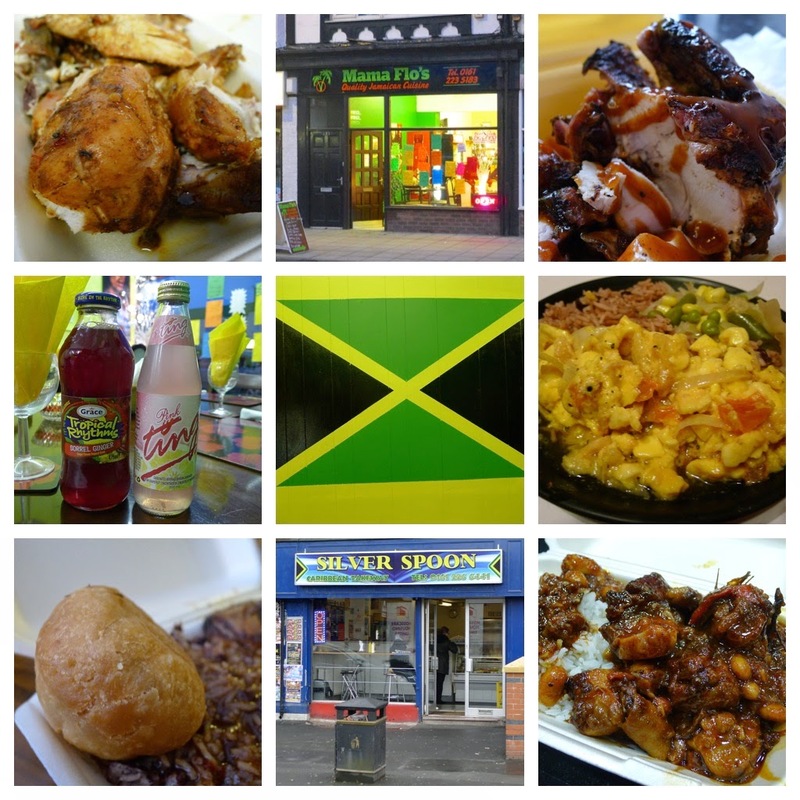 I ‘Irie’ for everything to be ‘irie’, we looked for positive vibes and a bit of banter from staff and the regulars. N ‘Nice up the place’ we wanted to see all the stereotypical Jamaican décor: gig posters and at least one picture of Bob or Usain. 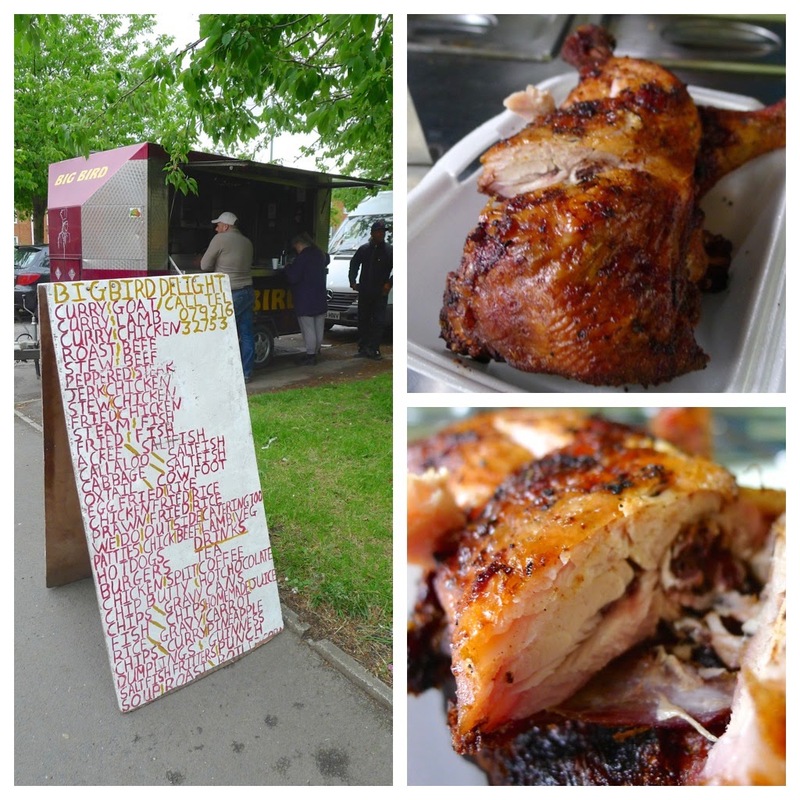 Notes: Mr Big Bird is a friendly chap who cooks his meaty portions of chicken over charcoal giving them a good crisp skin. The downside being that the jerk dry rub and sauce could do with greater oomph. 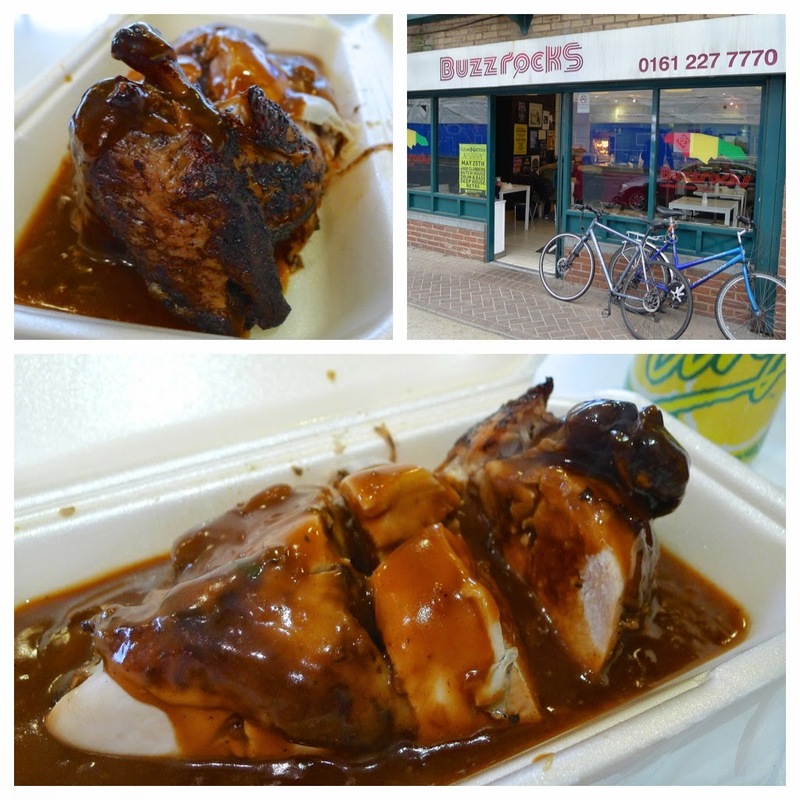 The al fresco dining adds a little authenticity although the view down the A6 acts as Manchester’s poor substitute of Jamaica’s “Capital of Jerk” Boston Bay. Notes: crisp skin but not enough of a jerk flavour – more akin to just BBQ chicken. The staff were friendly and there is plenty of room to eat in, although the room is rather ramshackle. Notes: a popular haunt with lots of twitter recommends – we found that they served wonderfully juicy birds, cooked on a rotisserie. 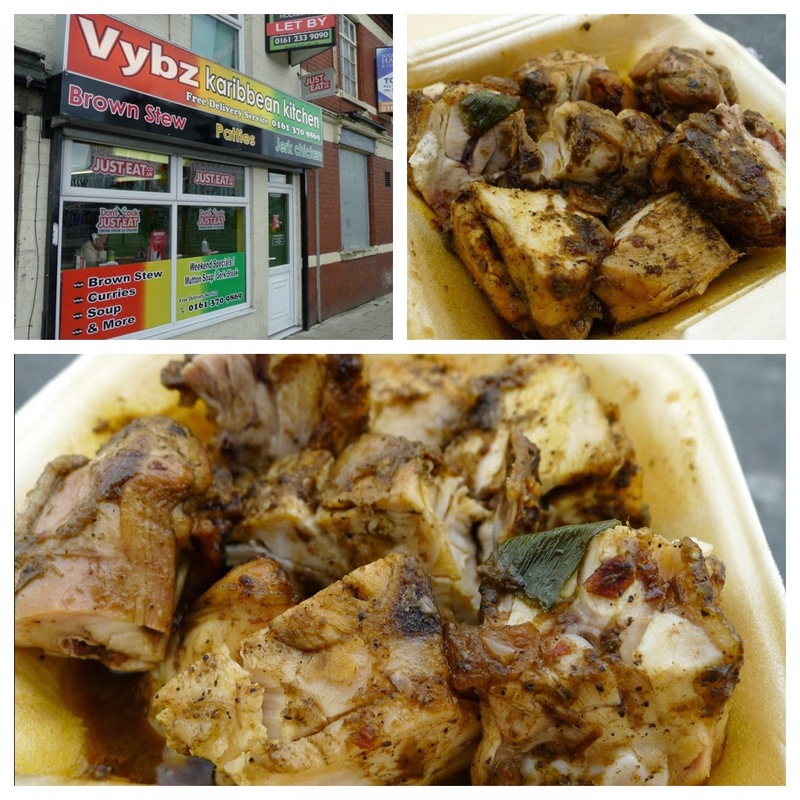 Once again, its was the jerk flavours that let it down as one of the least spicy we tried. Notes: on our visit the chicken was served cold which was a huge let down. 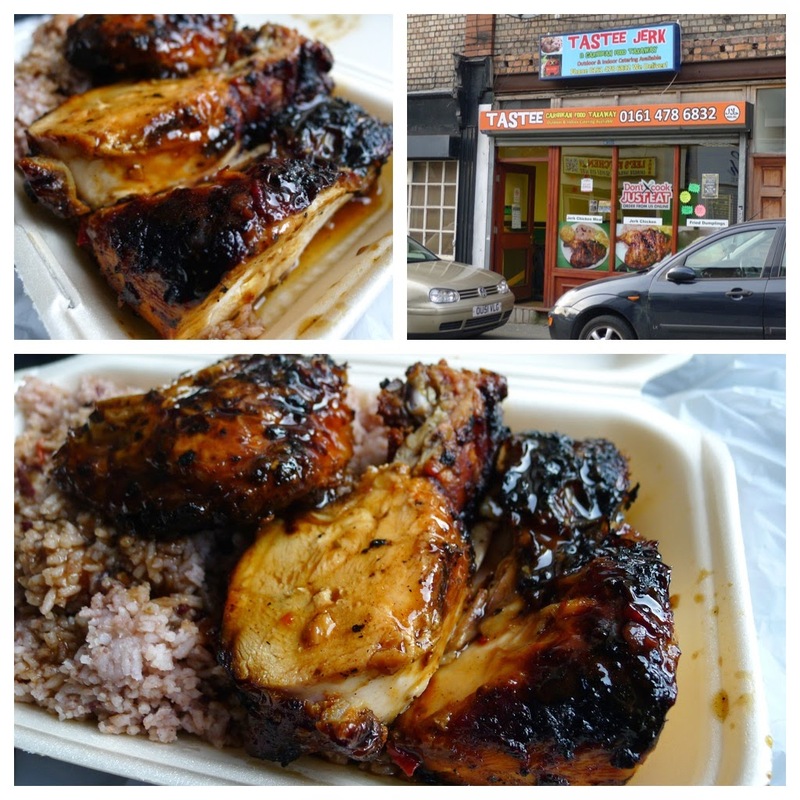 On a positive note, the chicken was decent quality and the jerk marinade had good ‘flava’. Notes: Dougy’s is one of the longest running places around with a solid reputation and loyal following. The jerk sauce has a nice little kick and a long marinade means these flavours penetrate deep into the meat. 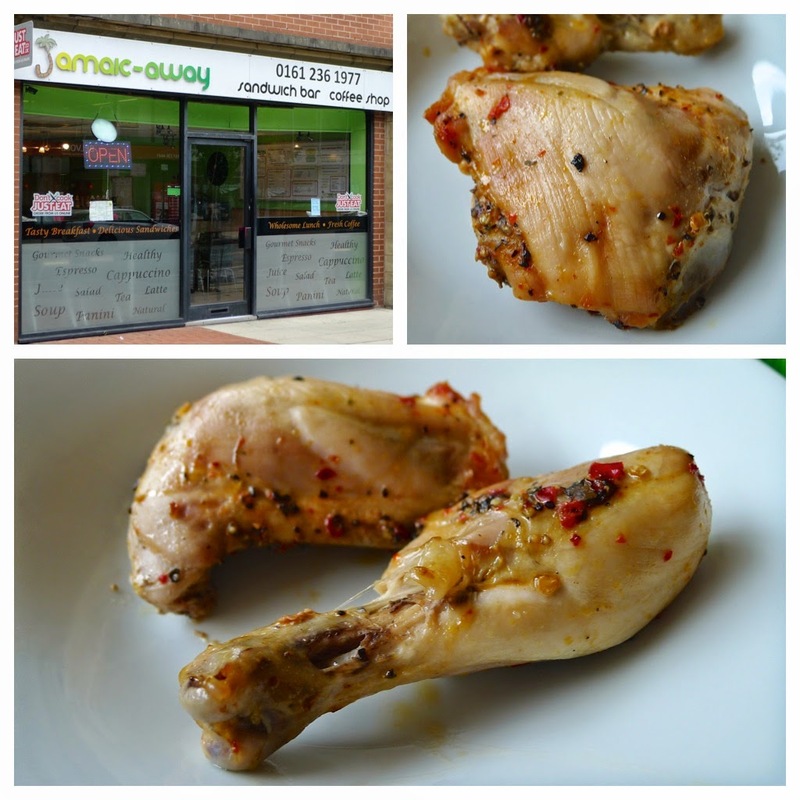 They have recently moved from Moss Lane West to take over the premises vacated by Alvino’s Pattie Shop. 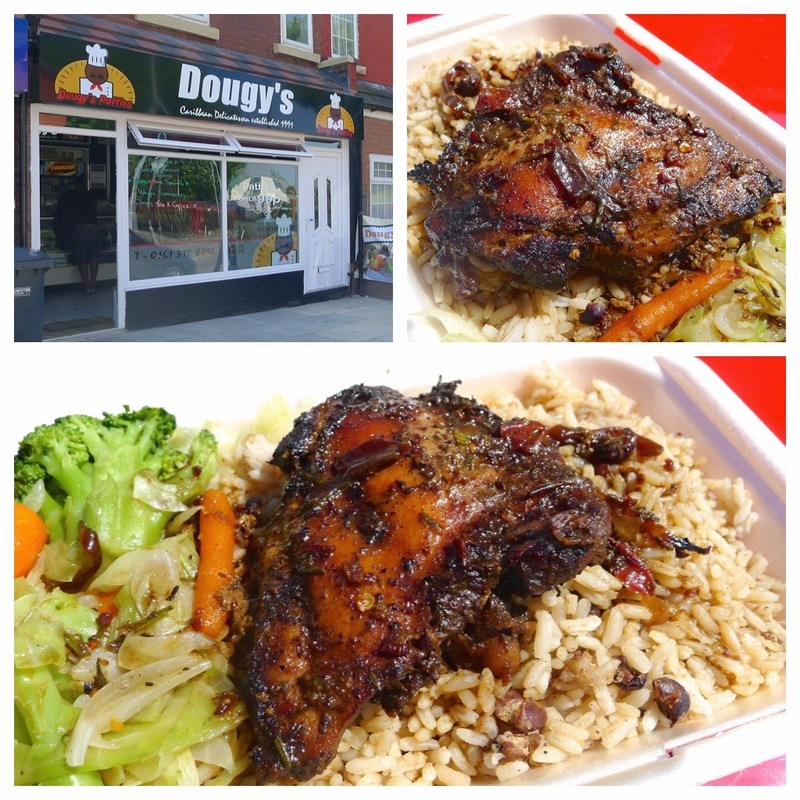 New location, same great jerk chicken! 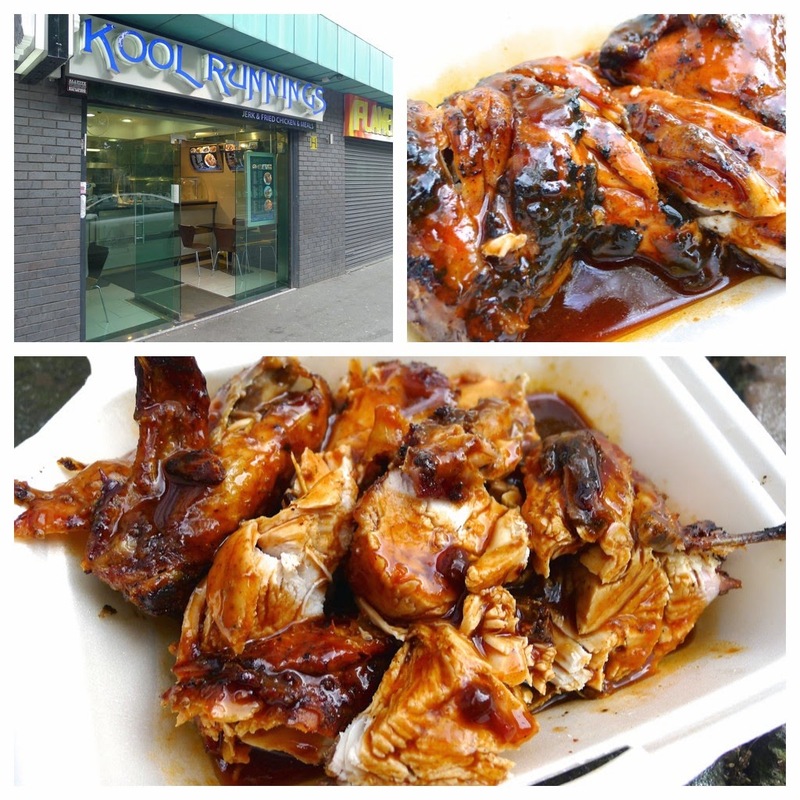 Notes: good crisp barbequed skin but once again it lacked any real punchy flavours and the chicken was dry - an all too common story. One of the weakest places visited. Notes: one of the best tasting jerks – a thick paste like rub, packed full of herb and spice. Good hits of thyme and garlic backing up the allspice and chilli. The one downside was the dry chicken – catch it fresh from the grill and this could be a real winner. 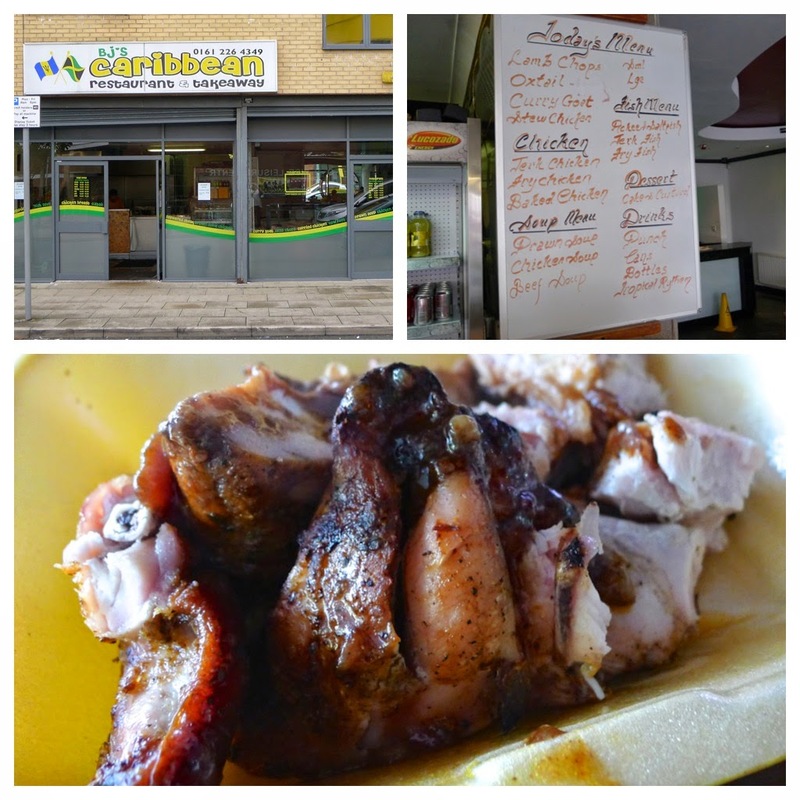 Notes: I ummed and ahhed and about whether to include this place on the list as they are less a jerk chicken place and more of a standard sandwich shop with a Caribbean tinged menu running alongside the typical butty fillings. What also made me think twice about its inclusion knowing the score for the frankly poor chicken would be so low was the friendliness of the girls running the joint - please go for a sandwich but not for jerk. 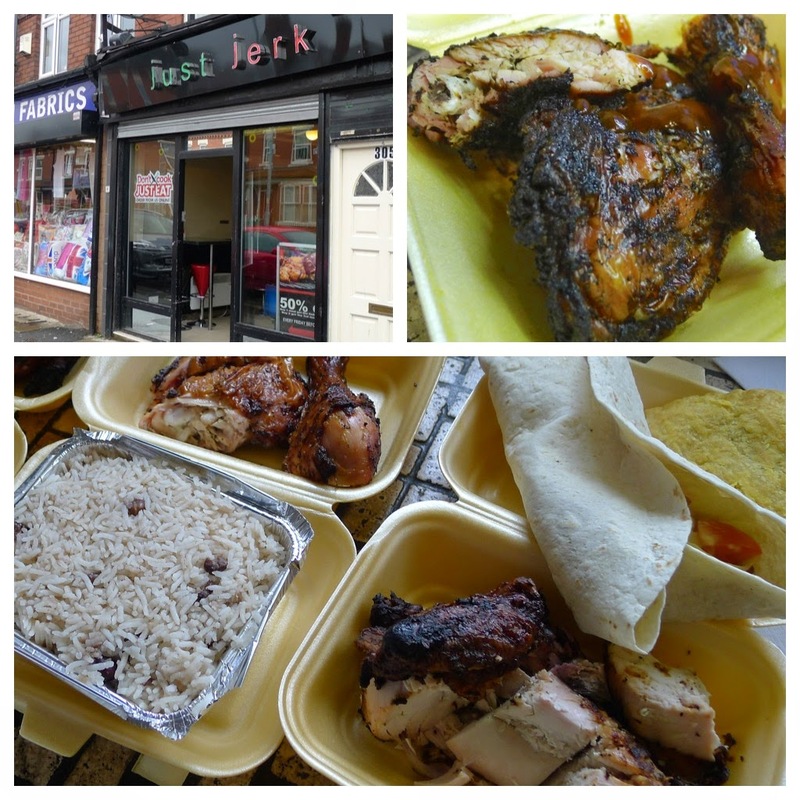 Notes: in what used to be Rhythm n Rice, you will find one of three of Manchester’s Jerk Junctions… friendly folk. There are some good flavours going on with a welcome hit of allspice and thyme but generally I find their sauce a little too sweet for my taste. Notes: on the plus side, I actually found this jerk a little spicier than the Whalley Range branch but it does not seem to get as busy and lacks a little atmosphere generated by the ‘local characters’. Notes: this is the smallest of the three Jerk Junctions – I found the sauce much sweeter here than even the Whalley Range outpost. 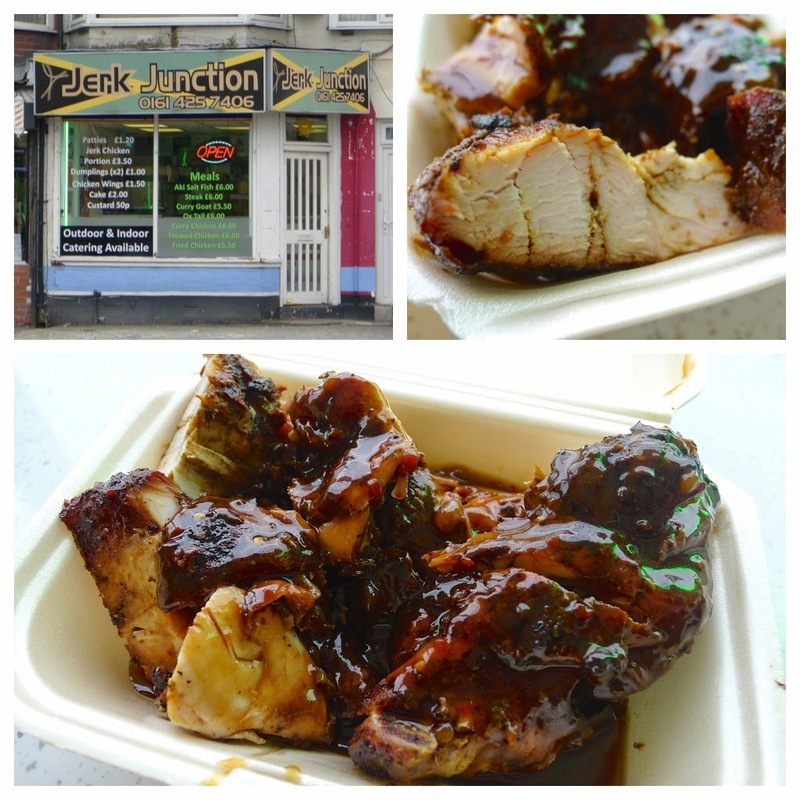 Notes: as their name suggests, Just Jerk specialise in jerk but they do serve a few other dishes. They cook their birds over charcoal on an oil drum BBQ. When it’s just come of the grill is definitely some of the best around but can dry out when sat for a while in the heated display case. Notes: cooked in the oven but finished off over the grill, there is some crispiness to the skin but the smoke has not managed to penetrate deep enough into the meat. Notes: like the Longsight branch, there is some crispiness to the skin but the smoke has not managed to penetrate deep enough into the meat. Once again I found the sauce too sweet for my taste, caused by an overuse of cinnamon. 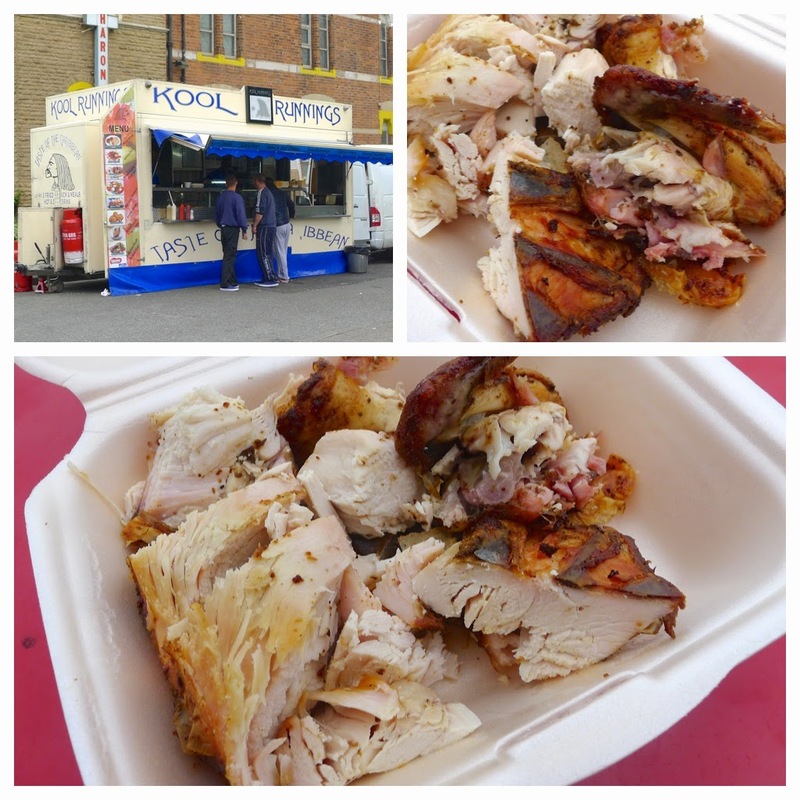 Notes: Set up outside the Sharon Full Gospel Church, the trailer serves a wide range of Caribbean dishes. Again, I found the chicken too dry and lacking in all but a scant amount of the jerk flavours. 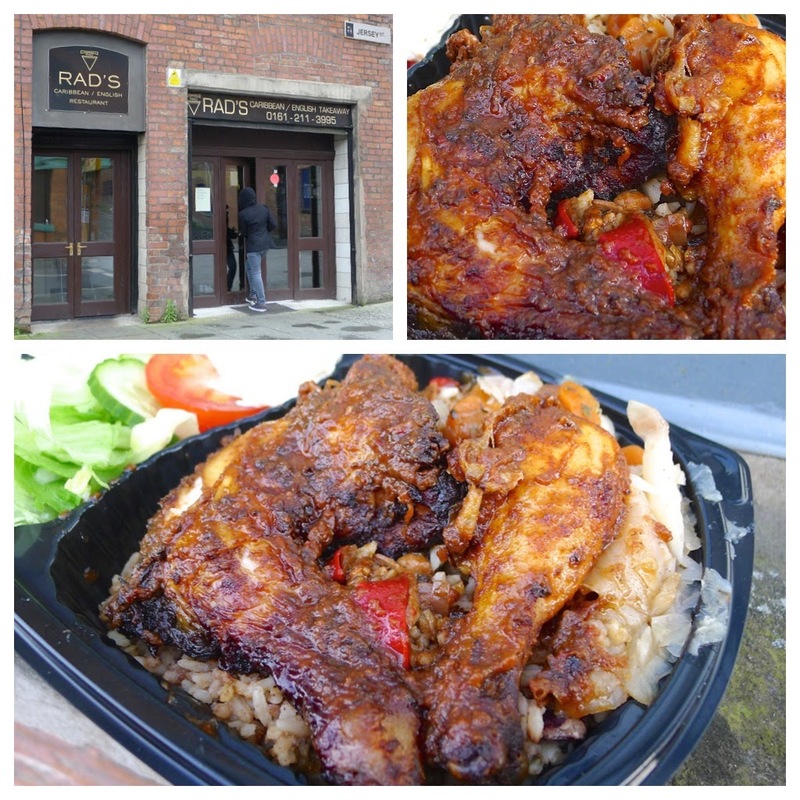 When the sun is shining it’s good to dine alfresco, albeit with a view of Chorlton Road. 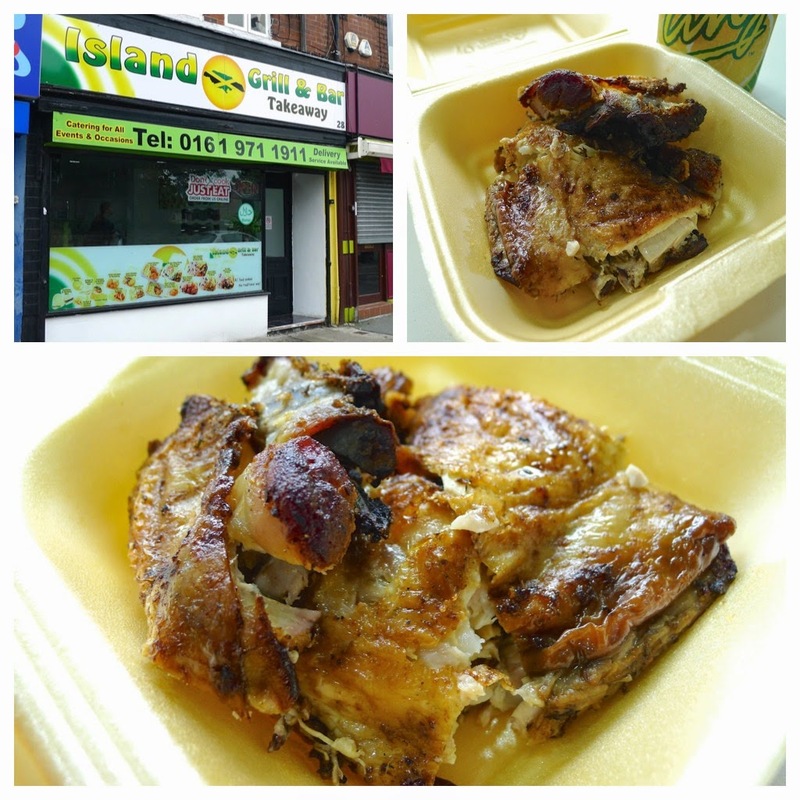 Notes: the same comments as ‘Island Grill & Bar’ in Stretford: good crisp barbequed skin but once again it lacked any real punchy flavours and the chicken was dry. 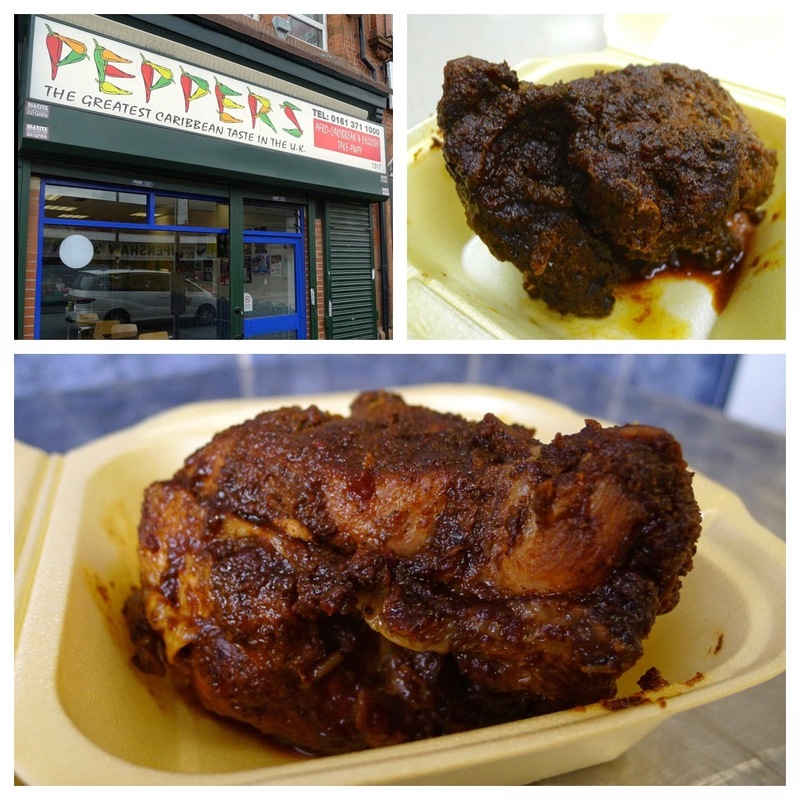 Notes: Good spicy jerk flavours from a wet marinade which has been left long enough to penetrate the meat. The place it set up like a restaurant and there is an option to eat in for just get takeaway. Notes: option to eat in restaurant environment. Mama Flo, who used to run her place out of Gorton, is a bit of a character. 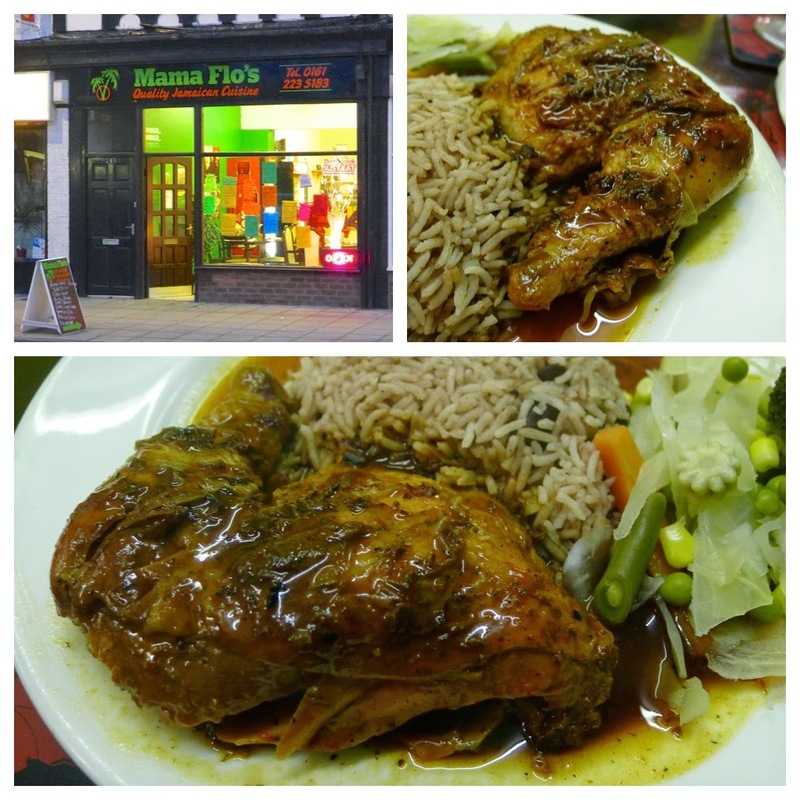 Certainly good vibes but I’d like the jerk flavours to be as bold as the restaurant walls and Mama Flo’s personality. Notes: certainly not one of the best we tasted and also the rudest staff. I visited three times for this post and on each occasion no one seems to man the shop so you have to call out. 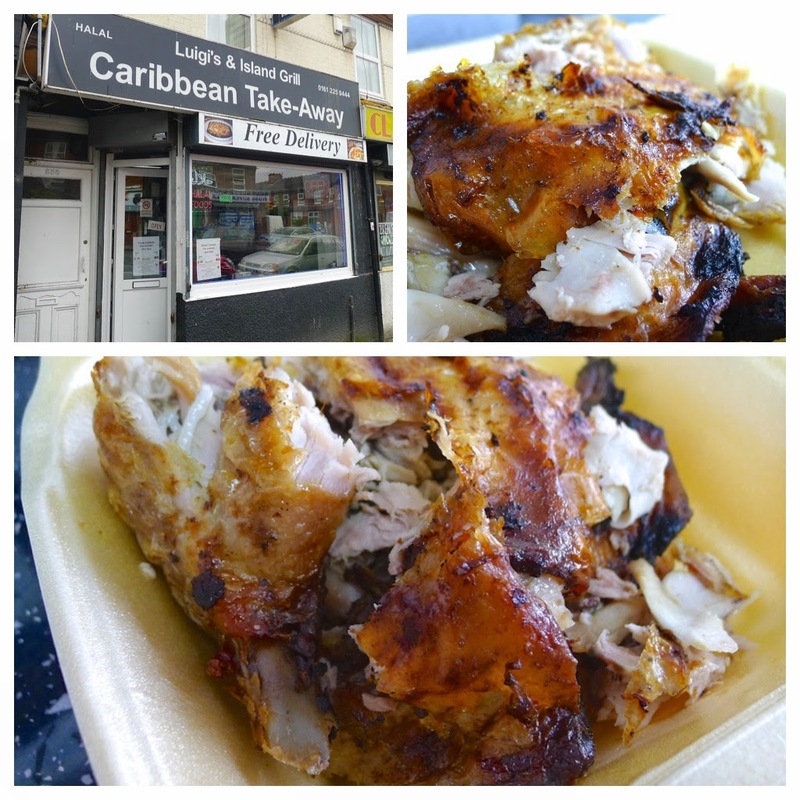 Than after a short delay someone will come ambling from the back looking and sounding as though you have just woken them up by slapping them with a piece of salt fish – I’d forgive the surliness if the chicken was good... It’s not. 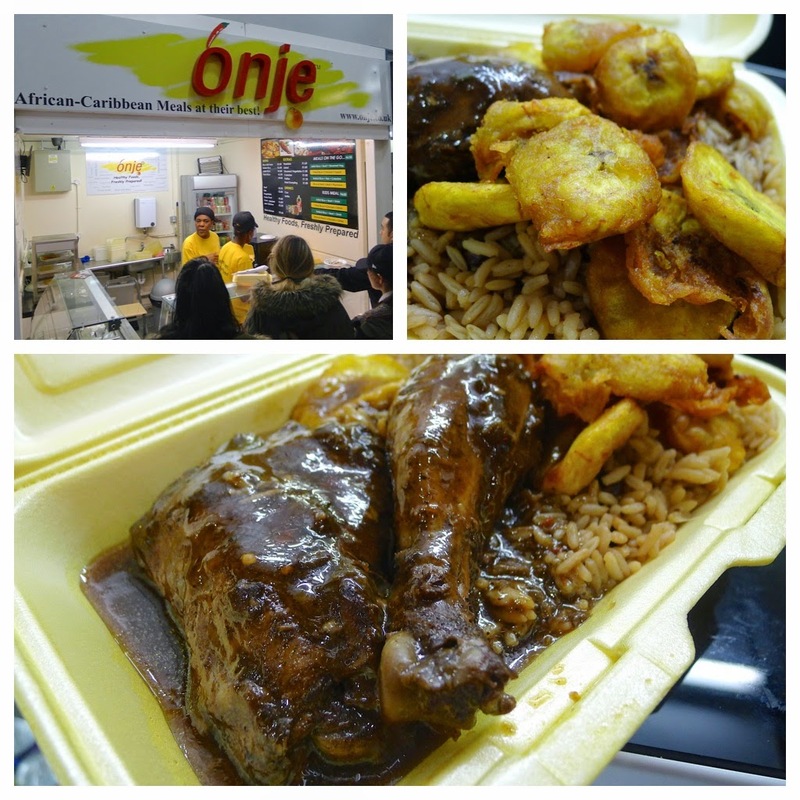 Notes: Onje is an Afro Caribbean food stall in Manchester’s Arndale Food Market serving a mix of Caribbean cuisine and African dishes such as Jollof. 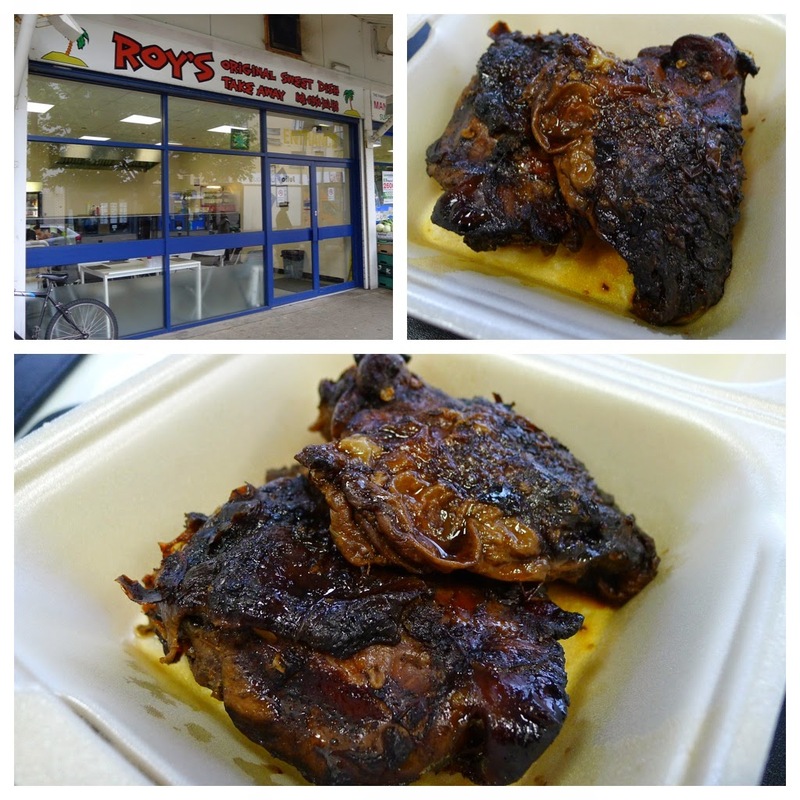 The jerk chicken is not bad and the plantain is good too. Notes: with a generously applied thick marinade this had great aromas and one of the best spice kicks we tasted. It could’ve got our highest score if it didn’t lack the smoke and crispiness from charcoal cooking. Notes: an out of the way place that runs a take away and a restaurant / function room upstairs. Not bad but charcoal cooking and a little more clout in the sauce would improve things. Notes: good spicy flavour (wet marinade) but poor chicken quality was a little grizzled and greasy. 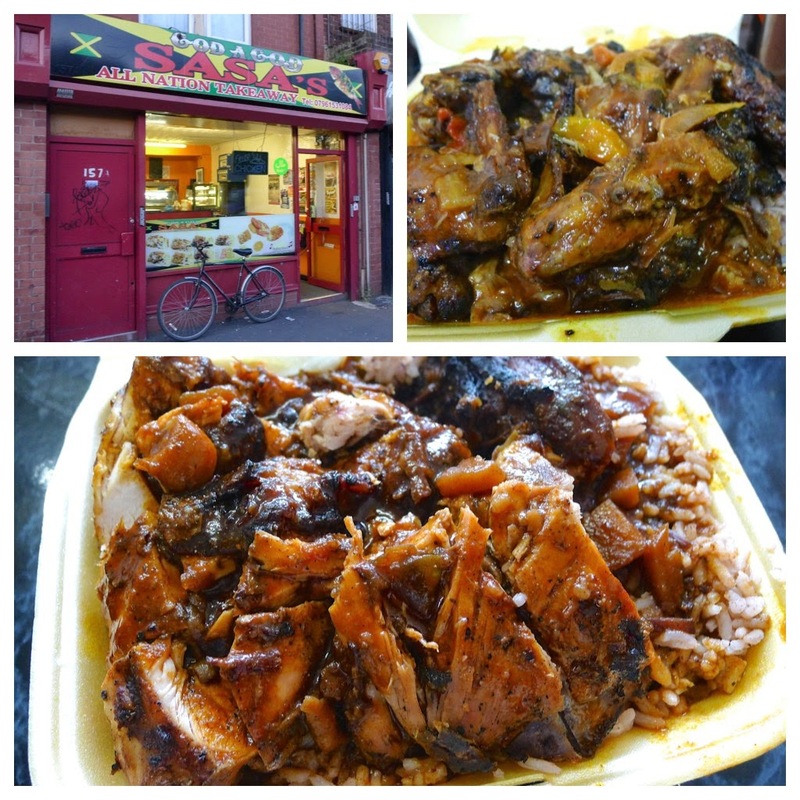 Notes: Sasa’s, in the premises formerly occupied by Jerk ‘n’ Spice, scored one of our highest ‘Jammin’ ratings with bonus points for the stacked sound system kicking out the reggae vibes. Cooked over charcoal, the chicken has crisp skin and smoky flavour but also a tendency to be dry - the fruity and spicy chicken gravy goes someway to help. Homemade jerk sauce in a bottle on the counter adds a little spice. 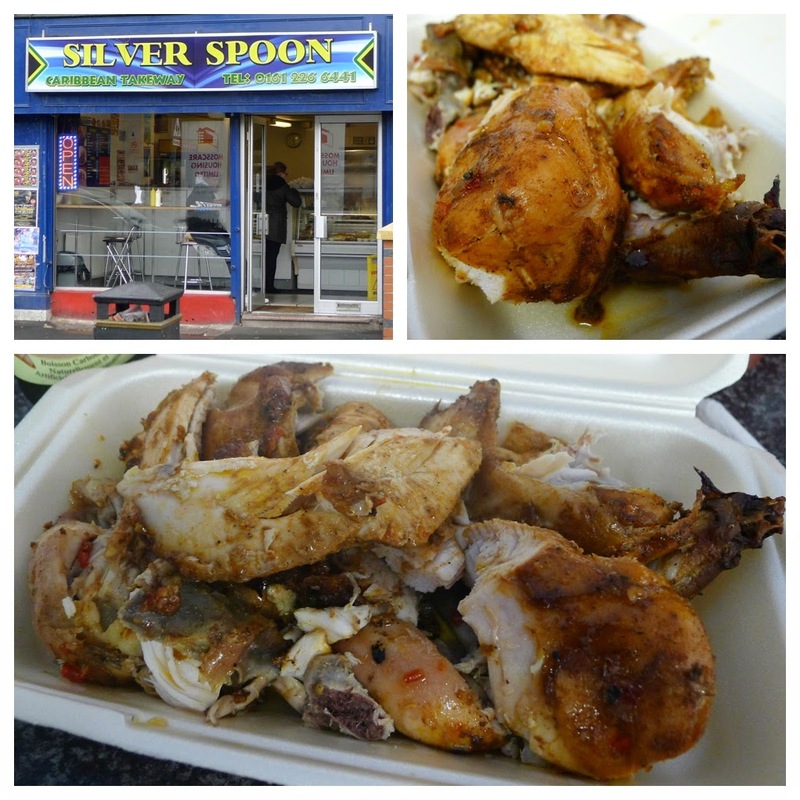 Notes: I remember Silver Spoon serving some of the best and spiciest jerk around but recent visits have disappointed. The place is still popular and there is always a crowd hanging around for a bit of banter. The jerk may have gone downhill but the cow foot is always good. If you like your spice they will always give you a whole Scotch Bonnet to chomp on. Notes: jerk looked good with nicely charred skin but it lacked punch and was a little dry. One of the places I still hope to revisit and will update if necessary. Notes: good meaty breasts, cooked indoors on an oil drum BBQ. Good balance of charred skin and wet marinade. Definitely worth checking out if you are in the Northenden area. 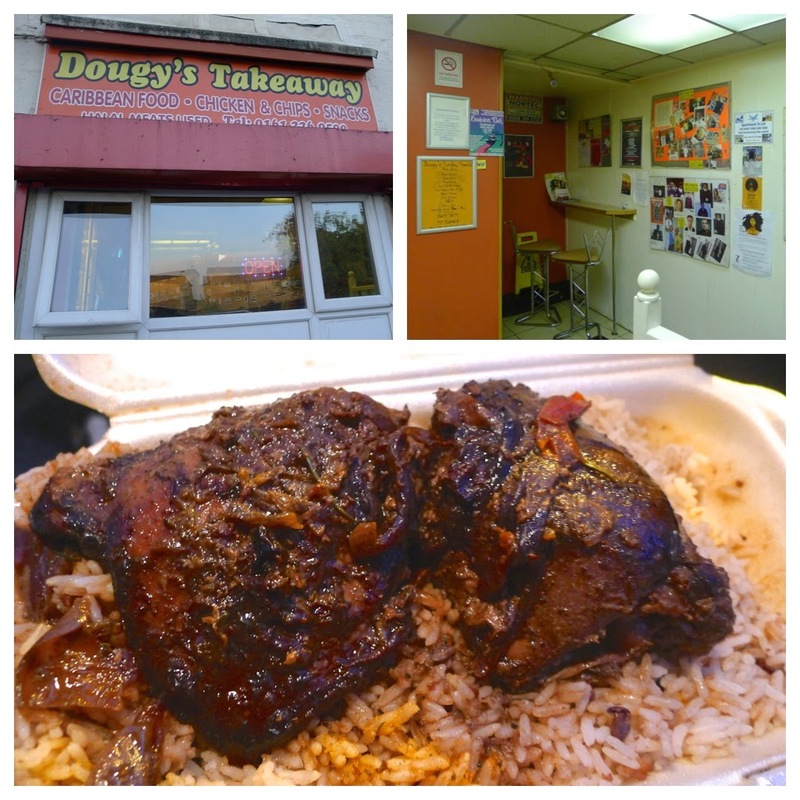 Notes: tasty, moist, meaty chunks of chicken but closer to a curry goat sauce in flavour than jerk. A point was taken off the Jammin’ score for spelling Caribbean with a K.
So there we have it, Bird Bird, Dougy’s, J’s Rhythm, Just Jerk and Sasa’s each scored 8, the highest number of points awarded. 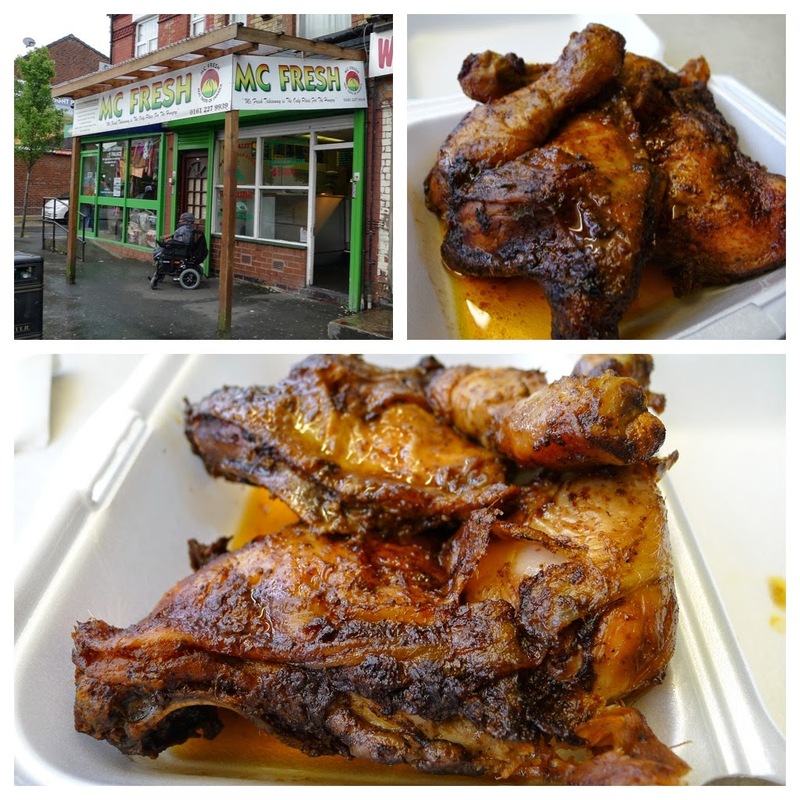 On a good day, catch the chicken freshly cooked and they could be 9s. Taking into account the Jammin’ score, Sasa’s comes out as my favourite place overall. A fan of the alfresco, Franco’s is Big Bird. 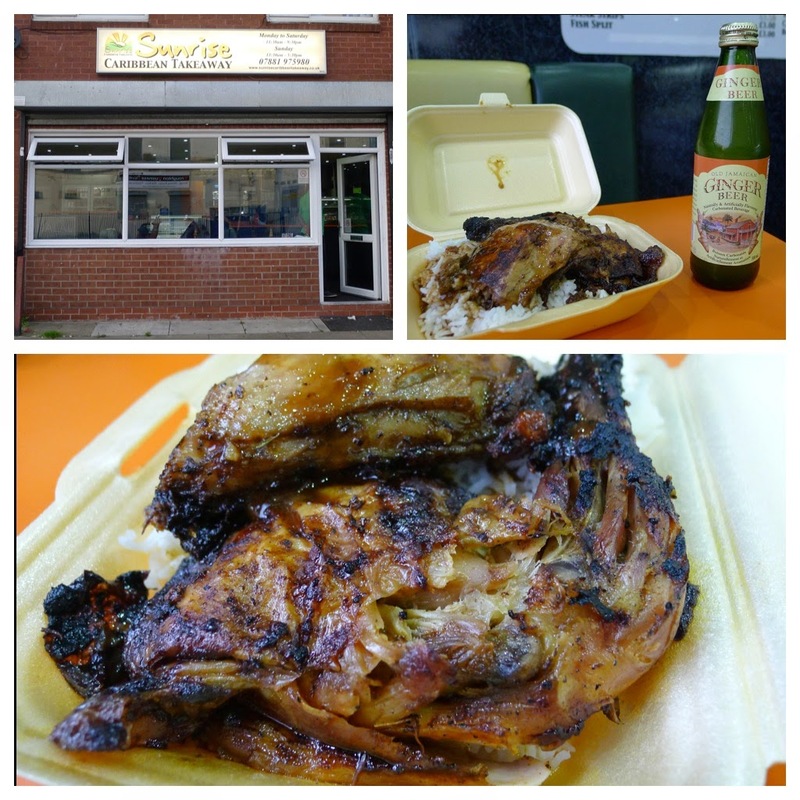 The good thing to know is that good jerk chicken is readily available across Manchester – I don’t think most people would be disappointed with any of the places we have scored with 7s or above. If you know of any places I have missed off the list or want to make any comments of agreement or disagreement please add them below. Enjoy your jerk!